Are you a fan of the old school way of doing things? Do you prefer the simplicity and straight forward nature of things rather than complexity and confusion? If so, and you're a musician, you may be in the market for a multi-track recorder. Multi-track recorders are musical recording devices that allow you to record numerous music tracks sequentially to line up your music and create a perfect concoction. They are a physical piece of hardware that is designed to do what many digital recording software is able to do. However, they will lack the plethora of effects that software will have and will take up more space. Multi-track recorders are more simple and straight forward to use. So why use a multi-track recorder? It could seem a little bit counterintuitive to use a multi-track recorder in a world where software is king. But software can be very confusing and difficult to use, especially for a beginner. Anyone who has tried to figure out programs like Logic or ProTools can tell you that the learning curve is extensive. Multi-track recorders offer a more simple variation and option in order to record your most inspired work. Why use a multitrack recorder? We have decided to put together a list of the 9 best multi-track recorders in 2019. Read on and find out the devices that are fit for your specific needs and also some necessary questions you should be asking yourself. The first recorder on our list is a smaller option for anyone who is looking for a portable option. If you need to be on the go and want to be able to record at a friends place or in a hotel room on the road, this may be the option for you. This 6-track recorder offers cd quality sound and can hold up to 32GB. You'll get 2 mono tracks, and two mono/stereo switchable tracks to allow you to mix a couple of the tracks into different mix placements. With two mic/line inputs and 2 built-in condenser microphones, you'll have the convenience you need in order to get your tacks down. It is a very simple and easy-to-use interface, allowing you to record, undo, and re-record as you need to. Good for a beginner or someone who wants a lightweight portable recorder. Why We Liked It - This multi-track recorder is really nice for being on the move. 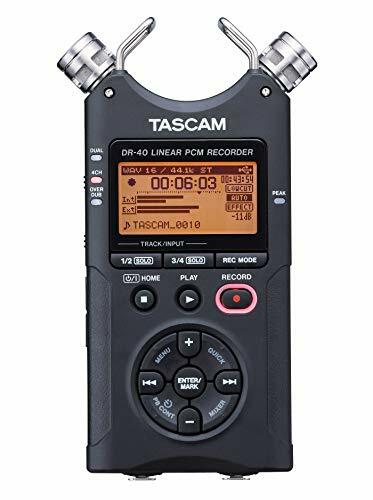 While most serious engineers will have a larger recorder to help layer more tracks at their home studio, this is a good one for portability and simplicity to get your ideas down no matter where you are. Just like the first position on our list, this digital multi-track recorder is great for portability. 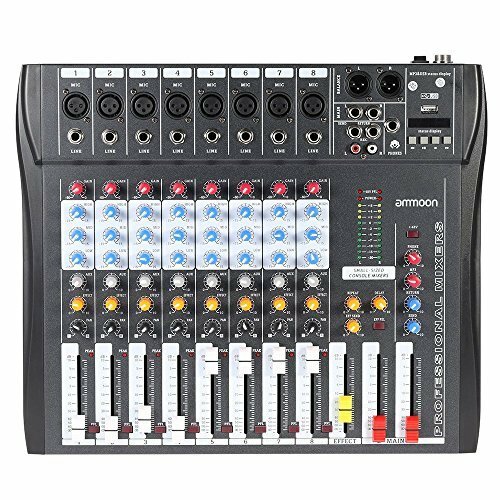 It is a four-channel recorder with built-in stereo X/Y microphones and records at a 24-bit capacity. 2 XLR/TRS inputs allow you to plug in microphones and instruments alike. Everything recorded will be stored directly on the SD card for up to 32 GB. It is connectable to a computer by USB hook-up and has 4 input and 2 output channels. 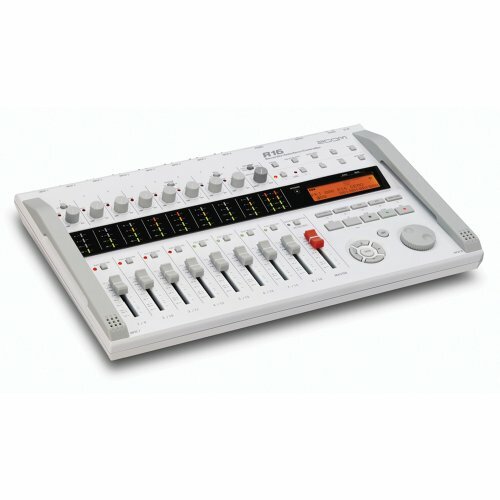 This digital multi-track recorder is compatible with Mac and Windows. It can work in a room to record a band as a whole with the external microphones, or in a private setting plugged in. It will be the perfect companion when needing to get your ideas down on a scratch track. Why We Liked It - In terms of maximum portability, this recorder does the trick. It's even smaller than the first pick on our list but doesn't have to extra two tracks. When you are getting your ideas down, four tracks could be all you need. It's also great for recording in a room with the two microphones being able to pick up intricate sounds. As you want to put more instruments onto a track, you'll need a multi-track recorder that can handle a little extra juice. 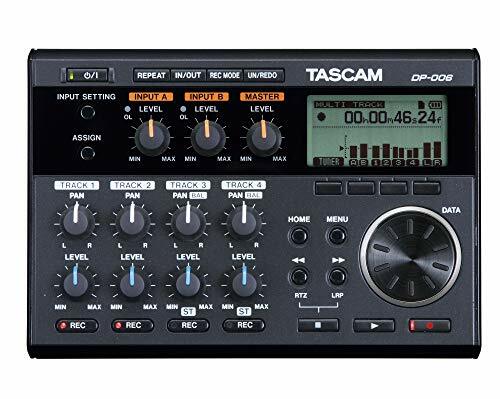 The Tascam DP-03SD 8-Track recorder is a slightly larger version than the number one recorder on our list. It is a little less portable, although it is not a whole lot bigger than its close relative. 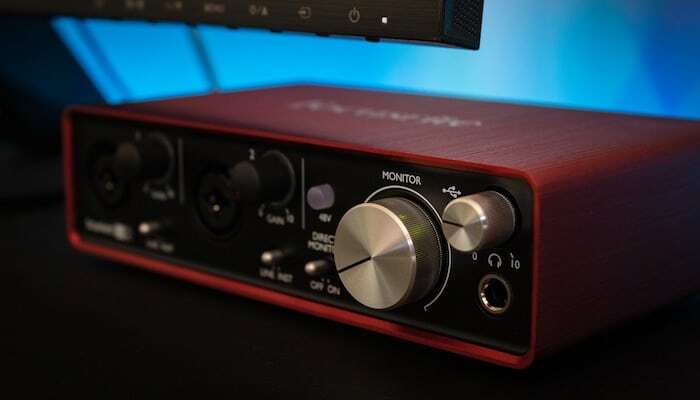 It comes with a built-in condenser microphone and two XLR inputs for external microphones that can be powered with phantom power. You can record guitars, bass, piano, voices, and any other instrument you may want to lay down. If you're recording drums, you will only be able to have two microphones plugged into the XLR inputs. You can import wave files directly to the recorder in order to mix tracks that you're working on now with ones you want to touch up a little bit. Why We Liked It - This is a really reliable recorder in the 8-track range. You're pretty well able to get down as many ideas as you need to if you're working on simple music. To have this recorder around the house is great for laying down ideas. With the Zoom R16 multitrack recorder, you get a little bit more versatility and ability in a relatively small unit. There are 8 recording channels which can be used simultaneously, with 16 possible playback tracks. 8 XLR/1/4" combination inputs give you the opportunity to record up to 8 microphones or 8 instruments at the same time. You will be able to record any instrument necessary with this recorder including drums. It is pre-programmed with 135 different digital effects which you can apply to your tracks. You will be able to store up to 32GB of music to work on later if you need to. There is a built-in metronome, chromatic tuner, and variable playback speed. You can operate it off of the power cable or by using batteries if on the go. Why We Liked It -This is a really powerful multi-track recorder that doesn't take up a ton of space. Along with having a really nice design, you get a lot of effects and abilities with this recorder. It's a minimum size for someone who is looking to record a lot of different instruments more often around the house. It's also pretty lightweight so it is easy to take it to a studio or jam space. We have another 4-track recorder that will work great for people on the go. It is a digital recorder that allows you to navigate your tracks with ease and speed. 2 XLR/1/4" inputs will give you two lines for either instruments or microphones. It also comes with two built-in condenser mics and a safety track recording to avoid any distorted tracks. You can take this recorder with you to record rooms with really loud sound or more quiet situations. 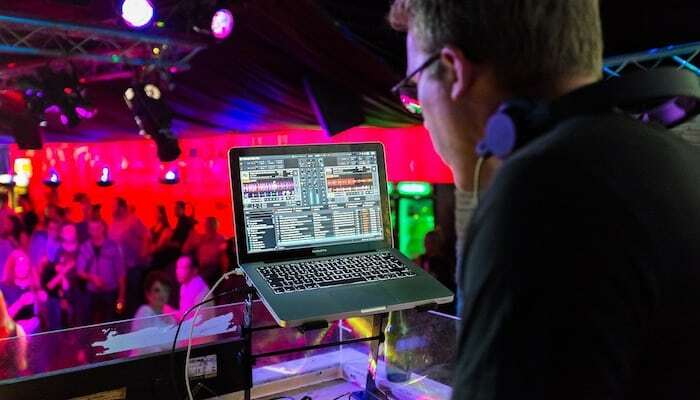 If you're recording a live band in a club or lectures/talks in a room you can pick up the sound properly. This 4-track recorder has peak-reduction technology as well as locking inputs for your instruments or microphones. Why We Liked It - This multi-track recorder is comparable to the ZOOM H4N recorder. 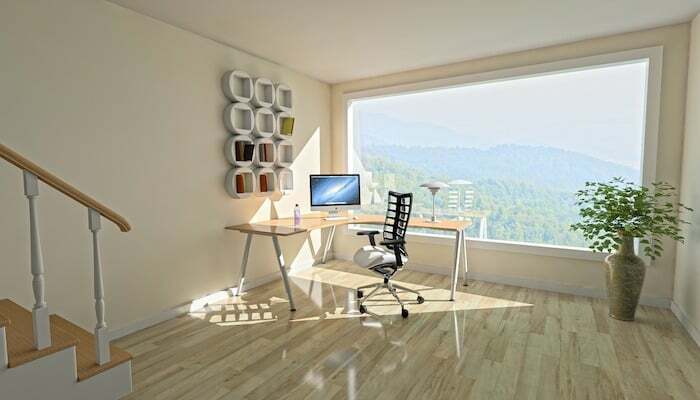 It is great for bringing with you to record a room or to put down a few ideas on the go. It's really small and compact but still has the necessary capabilities that you need when putting your inspiration together. This is a very versatile portable recorder. It has 4 combination XLR/1/4" inputs which will allow you to record mics and instruments simultaneously. Also included is a combination capsule that gives you the extra 2 tracks. The recorder sends your tracks directly to an SD card that can hold up to 128GB of information. Comes with gain knobs and pads to add as effects to your recordings. With an additional purchase, you can have a mounting adapter which will allow you to attach the recorder to cameras to record video along with the high-quality sound. 2 built-in condenser microphones are adjustable and allow you to record straight forward mono, or multi-directional stereo sounds. If you're looking for a really handy small multi-track recorder, this may be your pick. It has a great design and is small enough to fit in the palm of your hand. 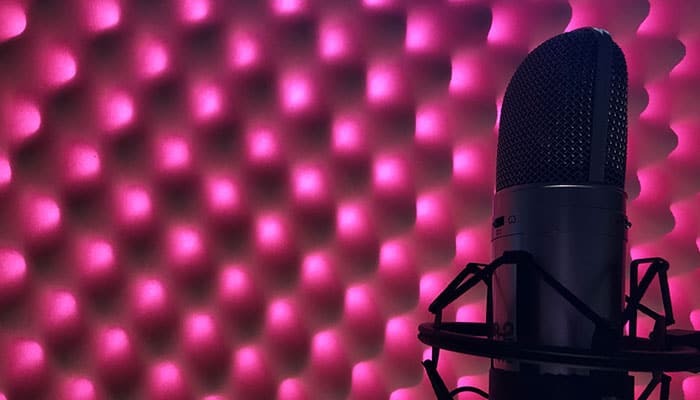 With two multi-directional built-in condenser mics, you can record an entire room if you'd like and you can decide which direction you want the microphones to face. For easy navigation, you can view your controls on the LED screen and use the one-touch button controls. Can handle up to 120db which will help cut down on the recording distortions. With 32GB of storage, you will be able to hold onto your favorite ideas for a later recording session. A protective casing around the microphones will keep them safe while you're on the move. The controls are very easy to use and will have you splicing and editing easier than ever on this recorder. Why We Liked It - It's really small and compact. Very easy to take it on the go with you to record your ideas. It doesn't hold a ton of memory but as far as getting some guitar and vocal ideas organized, it is everything you need for a small recording session. One of the more unique styles of a multi-track recorder on our list, it has a peculiar design and is packed with possibilities. It is really small and built to take with you to record a room or multiple instruments. A high-quality built-in condenser mic allows you to record seamless audio no matter where you go. Also included are two combination XLR/1/4" inputs so you can plug in your mics or instruments wherever you are. Coming along with the recorder is the iZotope app where you can upload all of your tracks and mix them right on your phone, tablet, or laptop. Built-in wifi allows you to connect anywhere you go and share your music with the people who are excited to hear it. Really nice design and an intuitive user interface. You can pull it straight out of the box and record within seconds. Why We Liked It - Many multi-track recorders look very similar. This recorder looks totally different and allows for really seamless user experience. The built-in condenser mic will capture the sound of your surroundings perfectly and give you the high-quality audio you are looking for. Great for recording practice or jam sessions with the capability to add extra tracks afterward. If you're in the market for a slightly larger multi-track recorder, then this may be the one for you. 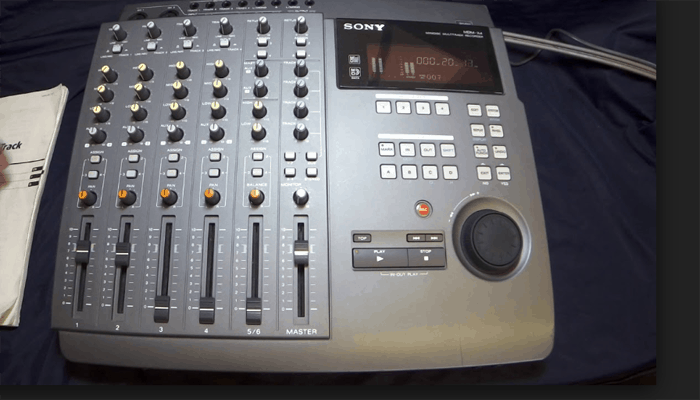 It has a very classic design and looks the way you would expect a multi-track recorder to look. You can record both vocals and instruments on 8 combination inputs which house both XLR and 1/4" jacks. Suitable for karaoke as you can line-in your mp3's direct to the system and then belt-out overtop of it. EQ and volume control on the tracks to help you get the most of the sound you want. Available in multiple size variations and is suited for people who are looking to set up a home studio or have a system to play live through. Why We Liked It - This is about as straight forward as a recorder can get. It's very intuitive to use and doesn't come with a lot of surprises. If you're looking for the old school style of recording, then this is it. You can plug in and start recording in minutes with no hassle of the digital world. There are so many options out there when it comes to recording devices that it can be tough to figure out the best way to go. 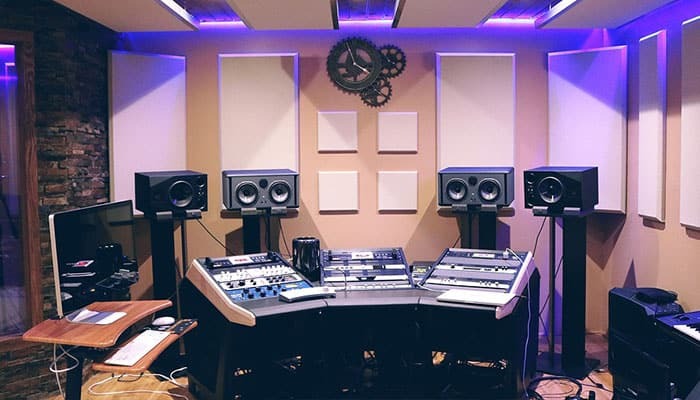 Whether you are looking to record full bands or just to lay down a few track ideas on your own, you're surely able to find what's right for you. It can be, however, fairly hard to know what may be necessary for you and what may be just add ons. 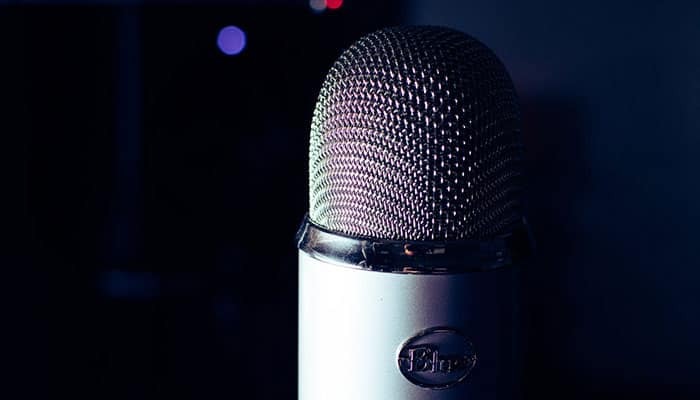 Here we have put together a short guide of things that would be helpful to keep in mind when looking for an audio recorder. Things like, size, compatibility, versatility, and many others can influence your decision. Read on to find out some of the bullet points. Multi-track recorders are what all the pros have used since the invention of recording until the digital age has taken over. They are large, clunky, and sometimes ugly. They still hold a ton of value for a wide variety of reasons. They are very simple to use and straight forward as far as operation goes. You don't have to fumble around with extra effects and confusing attributes. Digital recorders tend to be loaded up with features that can be tough for a beginner to decipher. It can even cause people to give up. With multi-track recorders, there is generally no confusing software to have to deal with. Multi-track recorders are good for people who like to have a physical device in their hand and at their disposal. 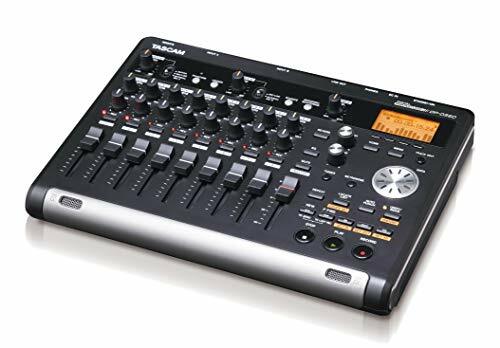 With a good portable multi-track recorder, you can take it where you need to go without needing to have your computer or powerful recording software. 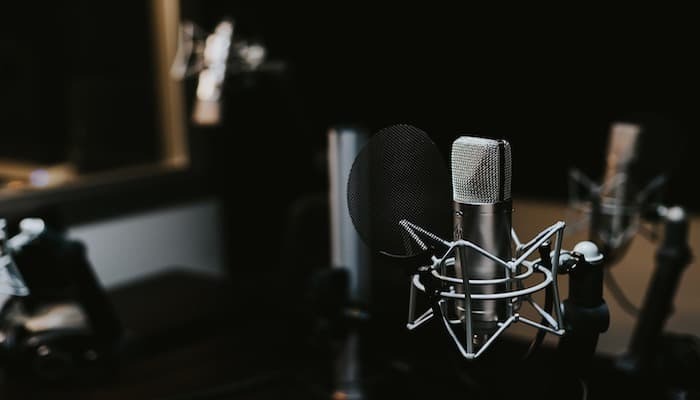 Recording large rooms is made easier with built-in condenser mics and line inputs. They allow you to use your hands to navigate and control the outcome of the music you are recording. Multi-track recorders offer you that sense of "working with your hands" which will give you a different sense of satisfaction compared to working on a computer. A multi-track recorder will take you back to a time that is more simple and straight forward. It can make recording a lot of fun and quicker without unneeded intricacies. How big is the multi-track recorder that you need? Are you looking to take your recorder with you to friends houses, jam spaces, and live venues? If so, how important is portability? Quite simply, the smaller the recorder, the more portable it will be. There are many different options when it comes to a portable recorder that you can have your pick of the litter. However, if you want a little bit more capability, then you may need a recorder with a few more tracks. It is possible to get more tracks and still have a degree of portability. The bigger the recorder, the more tracks you will generally have available to you. 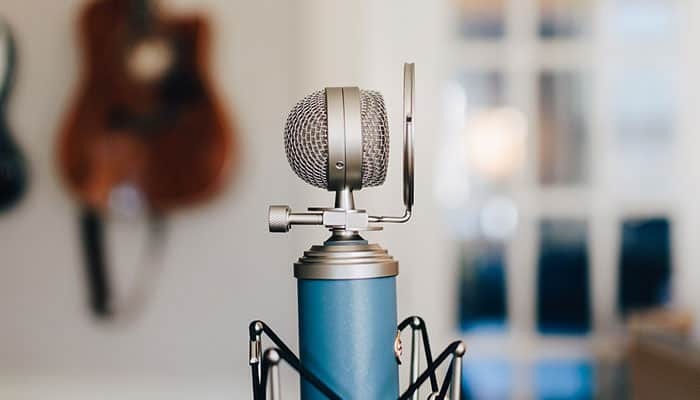 If you're going to be sticking around home and working on your music at your leisure, then a larger, more versatile recorder may be up your alley. How much do you want/need your multi-track recorder to do? Are you looking to record just a few ideas for later recording, or do you want to have a full orchestra uploaded onto your recorder? Different recorders come with different versatility. If you want a lot of different effects without external plug-ins, you'll want to get a device that can handle that kind of workload. If you're just looking for something more simple, then having those extra effects may not be necessary for you. Think about what type of music/musicians you will be recording and what capabilities you may want. Even though you may not need effects now, it is always helpful to have them on hand if you need them. It can also be a lot of fun to play around with in your downtime. How much memory do you need for your recordings? 32Gb can be a lot of memory as far as a startup amount of memory goes, but if you travel a lot and are recording all the while, you may need the most memory you can get. Music can sort of get away from you in a sense where you record things and often forget about it until much later. When your ideas pile up, it's important to be able to easily retrieve them. The last thing you want is to be in the middle of a recording session and not have enough memory to work with. Having to decide what ideas you want to delete could put you in a real mental pickle. Be sure to keep in mind the amount of spontaneous recording you'll be doing. Your multi-track recorder is the gateway from your soul to the outside world. It will allow you to put together all of your best ideas in a scratch format so you can work on them later. 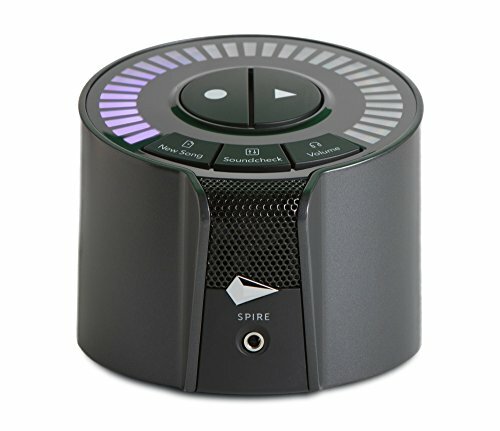 Any long-time music writer knows that having a device nearby that can capture the type of sound you want is incredibly helpful. Ideas can slip away unnoticed and you may never get your best ideas back. With a good multi-track recorder on hand, you don't have to worry about that anymore. When it comes to choosing the capability of your recorder, always keep in mind the ever-expanding world of creativity. 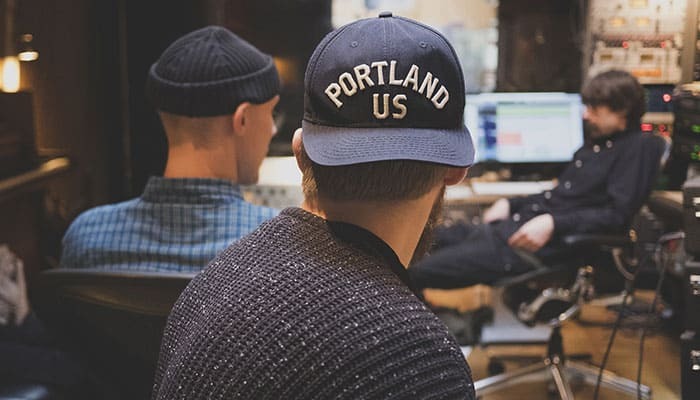 As you get better at writing and recording, you will inevitably want to expand your horizons. Having a recorder that is a little above your capability range may be the best purchase in the long run. The man credited with inventing the first recording device is Thomas Edison. The mechanical phonograph cylinder was first produced in the year 1877. It was the first device able to record and reproduce audio.